Prototype: German Federal Postal System (DBP) type Post 2ss-t/13 railroad postal transport car, used on the German Federal Railroad (DB). With a post horn in the form of 1949. Chrome oxide green paint scheme. The car looks as it did around 1979. Model: The car has a closed superstructure. Length over the buffers approximately 16.2 cm / 6-3/8". 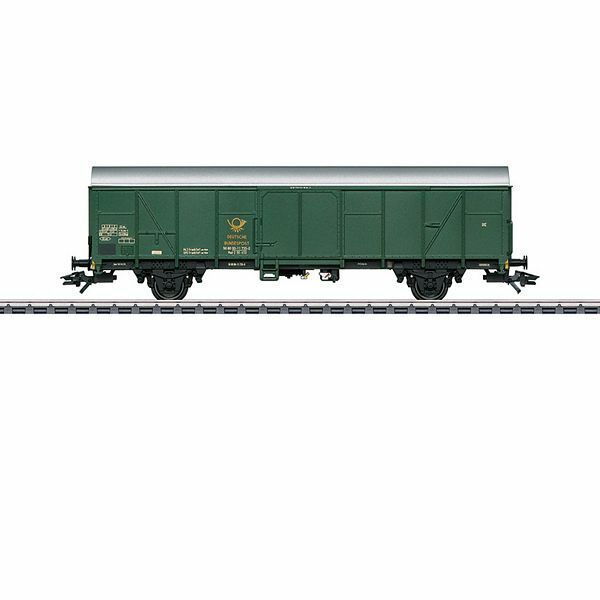 DC wheelset E700580. With a post horn in the form of 1949.